Next weekend I’m going to be singing in a concert in London. (I’m so excited!) 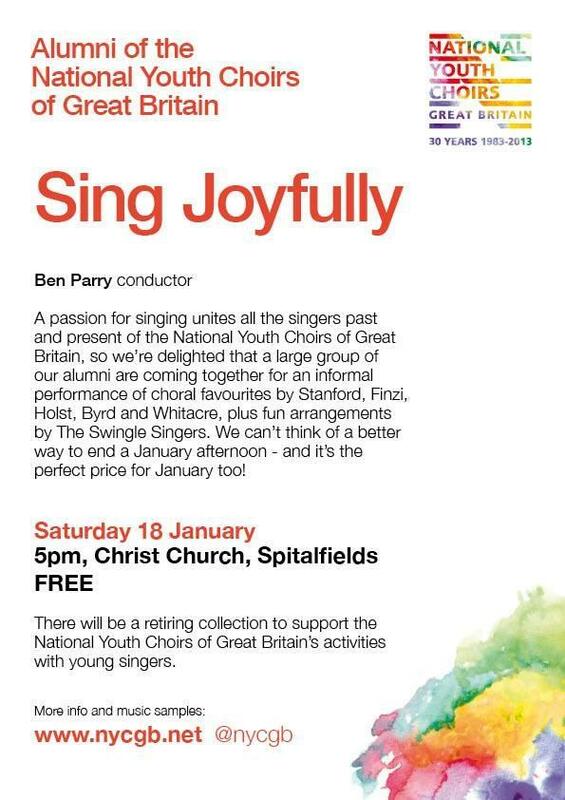 It will be the first official meeting of the new National Youth Choirs of Great Britain alumni choir. The idea is to re-engage with past members of the choir (of which there are well over 1,000), to catch up with one another, make music, and also hopefully raise some money to help existing choir members. I’ll be tweeting throughout the weekend on @exncygb. When: Saturday 18 January 2014 at 5.00 pm. Or check out more information, including details of music being sung on the NYCGB concerts and events page.